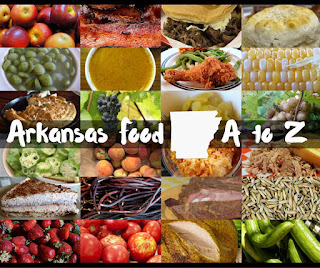 The Farm to Table movement is changing the way we eat in Arkansas. People these days want to know where their food comes from, who grows it and how it was harvested. This past decade, we’ve seen a number of restaurants start offering dishes created only with resources found in a 100-mile radius. minutes earlier… especially if you want to catch it yourself. The place? 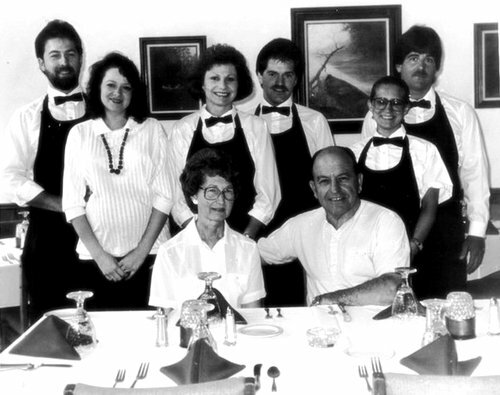 The DeVito Family Restaurant, also known as DeVito’s of Bear Creek Springs. 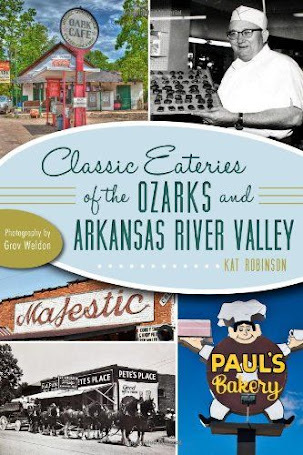 The restaurant and the rainbow trout farm associated it were originally located alongside U.S. Highway 65. But the route changed in 1982, and the highway passed to the west and above the hollow both are located in. A few years ago, another bypass went completely around the Bear Creek Springs community. But the DeVito family won’t give up. 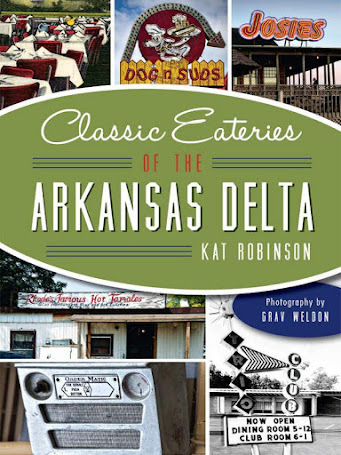 The fifth generation of DeVito cooks are still preparing some of the best Italian specialties you can find in Arkansas right along Bear Creek Springs and the family trout farm, all these years later (click here to read about the DeVito family history). These days, you can bring your family for a meal at the DeVito’s place any time. Or, if you call in advance, you can arrange to catch your dinner. My daughter Hunter and I did just that a while back, on our epic Spring Break on 7 trip. We met Joe DeVito around 11:30 in the morning. It was very chilly, but Hunter was immediately excited. We crossed the creek over to the trout pond, and Hunter made friends with the restaurant cat, Ashley, while Joe got a reel baited up for her. On her first cast out, Hunter hooked a fish. And it was a whopper. Joe helped her get it in, and when we weighed it later, it turned out to be three pounds! That’s a big fish! can fish and bring in a lot too, and you can have it cleaned and take it home packed on ice for a fee--or you can have your fish cooked the way you want it at DeVito’s Restaurant. Since we’d arranged in advance to go, Hunter managed to help reel in some of the night’s catch for the restaurant. If you ate there that night, you might have eaten one of her fish! You can have your trout a myriad of ways. Trout Fingers are very popular… lightly breaded slices of trout deep fried and served up with tartar sauce. You can also have yours broiled in a variety of ways – topped with pesto, Cajun seasonings, almondine or Italiano with a cream sauce, or you can have yours breaded and deep fried with or without the bones in. Hunter and I had our trout cooked by Joe DeVito himself, and we were allowed to spend a little time in the kitchen watching the process. 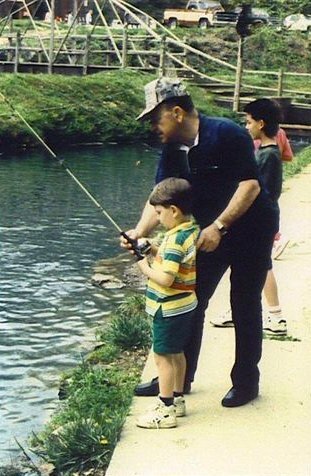 It all started with those magnificent trout Hunter had caught. The truly best way to have the trout, in my opinion, doesn’t make the menu and it’s only offered rarely. That’s the Trout Pate, a smoked trout made into an amazing concoction served with club crackers. It is ridiculously good. No trout pate that day, but that was okay. Hunter settled on the Trout Italiano with its light cream sauce, a truly delectable choice in my opinion. She decided to go for French fries as her side, and of course, she was all about some hush puppies, which come with every trout meal. I chose the pesto trout, a favorite of mine, and was pretty happy with what came to the table - fresh, flavorful trout broiled with the expertly paired house-made pesto DeVito's should also be famous for. My daughter, if you haven't figured out from years of reading about her negotiating abilities as she's grown, is a smart cookie. She managed to convince me to try her fish, and she tried mine, and we ended up swapping out. So yay for that, we both enjoyed some excellent trout. I should tell you, DeVito’s also offers all sorts of great Italian specialties. The ravioli is masterful, especially the toasted ravioli, which is filled with parmesan and mozzarella cheese and bits of salami. The pastas are marvelous (I dream about the alfredo sauce, one of my favorites), and the chicken and spinach ravioli is just splendid. Usually the ravioli comes topped with marinara, but I love it topped with alfredo, and it's absolutely divine that way. There are a lot of other good dishes, many of which are pictured below this article. I'm also a big fan of the housemade bread, which is served with butter. 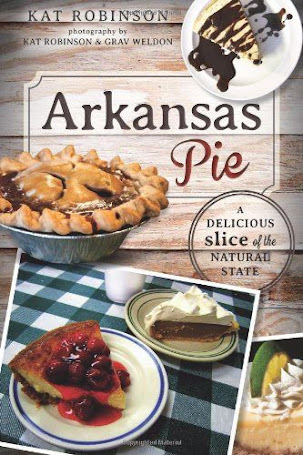 The restaurant is also home to what I consider the best apple pie in the state. Brother Steve is the pie maker, and his chocolate bourbon pecan pie is masterful, but the apple pie with its phyllo-dough layered soft buttery crust and its different types of sliced apples within… it’s just divine. There's also the chocolate bourbon pecan pie, which Grav adores. It's a brilliant combination of pecan pie and chocolate custard, and it's incredible warmed. But on this particular afternoon, Hunter and I decided to try a couple of other dishes. And for her, that meant taking on this lemon cheesecake. It was a fresh made chocolate cake, and it was calling my name, and I had to have it. So I did. And it was perfect - a light, fluffy frosting over a slightly dark, very moist cake. Can't beat that with a stick. So next time you’re thinking farm to table, consider the fish farm at Bear Creek Springs and some magnificent Italian food at DeVito’s. 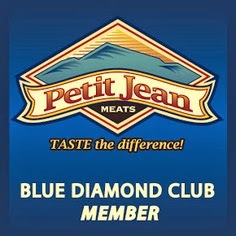 For more information call (870) 741-8832 or check out the website at www.devitosrestaurant.com. My regular go-to when I go to DeVito's is Trout Italiano with the fettuccini Alfredo. How do I know this? Seems like I photograph it every time. There's also the grilled chicken over the fettuccini Alfredo... it's not on the menu, but they'll make it, and it's also very, very good. If you're going for healthy, you might try your trout grilled with broccoli. You still get that great fresh trout. The opposite of that grilled trout is this hot fudge dessert I once encountered on the specials board. It was packed with fudge brownie bits and ice cream and it took three of us to tackle it. The very first thing Grav ever tried as far as entrees go at DeVito's was this pesto trout, and it's his go-to. Just so you can see the bits inside this fried ravioli, here ya go. And this is just an artsy fartsy shot.